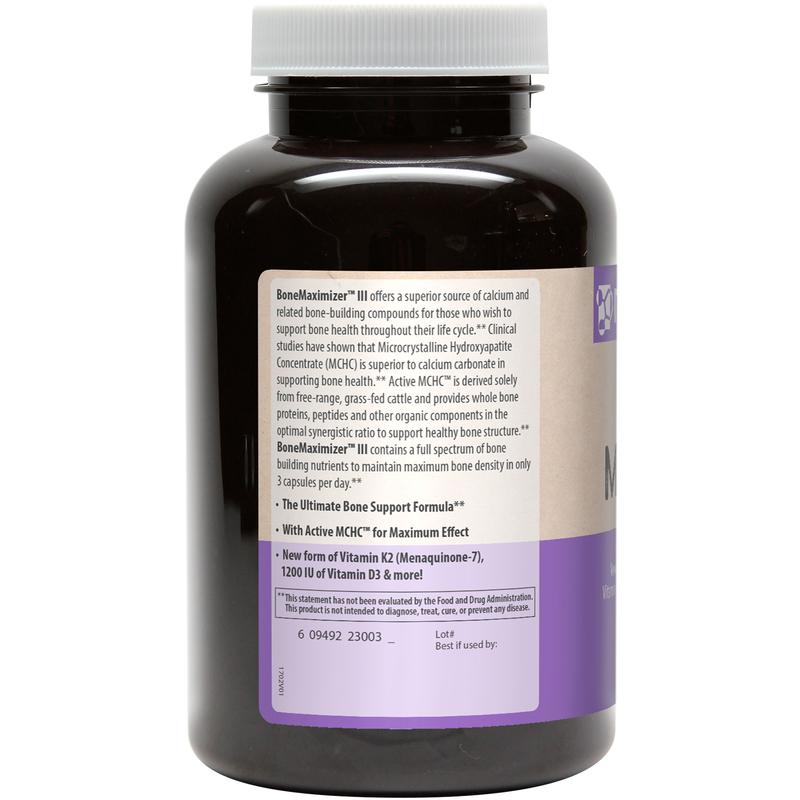 BoneMaximizer III offers a superior source of calcium and related bone-building compounds for those who wish to support bone health throughout the life cycle. Clinical studies have shown that Microcrystalline Hydroxyapatite Concentrate (MCHC) is superior to calcium carbonate in supporting bone health. 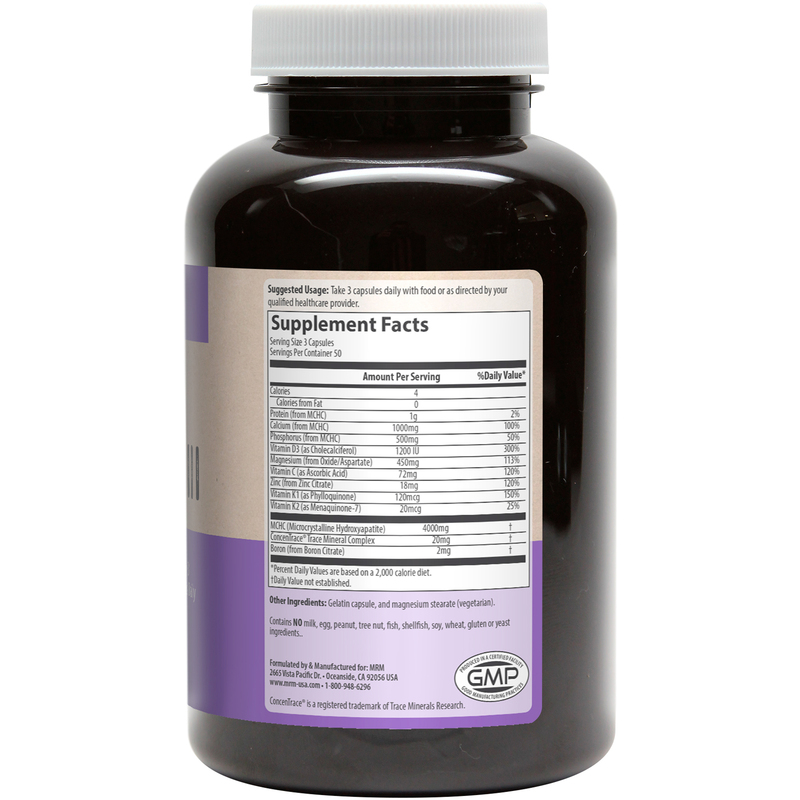 Active MCHC is derived solely from free-range, grass-fed cattle and provides whole bone proteins, peptides and other organic components in the optimal synergistic ratio to support healthy bone structure. 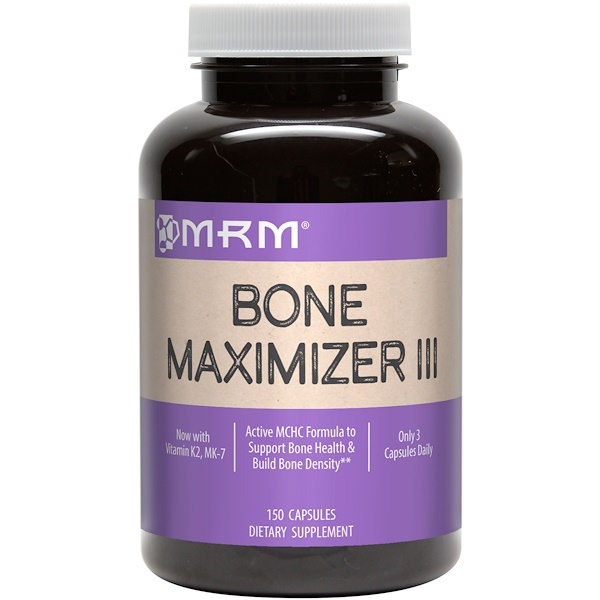 BoneMaximizer III contains a full spectrum of bone building nutrients to maintain maximum bone density in only 3 capsules per day. New form of Vitamin K2 (Menaquinone-7), 1200 IU of Vitamin D3 & More! Take 3 capsules daily with food or as directed by your qualified healthcare provider. Gelatin capsule, and magnesium stearate (vegetarian).